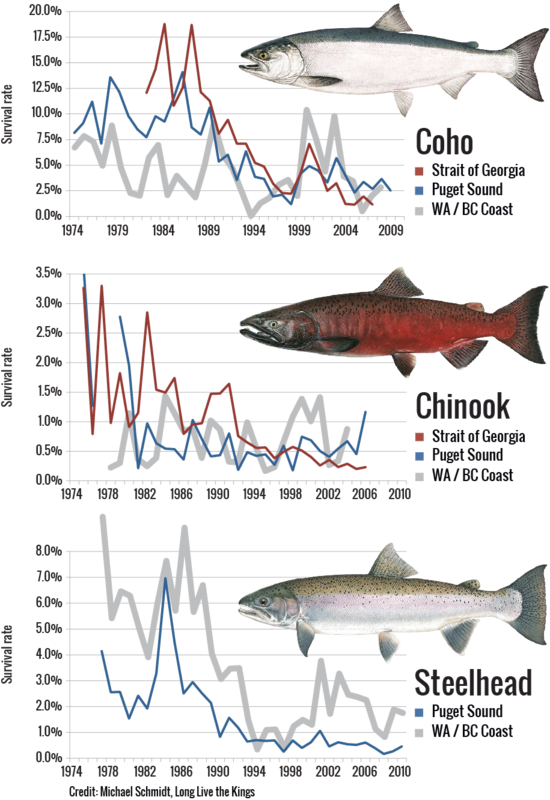 Marine survival of young coho, Chinook and steelhead has declined significantly in Puget Sound over the past 20 to 30 years. Low growth rates among young salmon in the marine environment are a strong suspect in declining marine survival. Scientists say poor diet may be the cause of smaller salmon, but little is known about salmon feeding behavior in deep Puget Sound waters. Increasing numbers of predators such as harbor seals may also have an impact. Marine survival of young salmon is a growing area of research in the Salish Sea. For every Chinook, coho, or steelhead that leaves a local stream or hatchery, fewer and fewer adults are returning to spawn. Survival rates in Puget Sound for these salmon have decreased over the past 20 to 30 years, according to research presented at the 2014 Salish Sea Ecosystem Conference in Seattle. Scientists believe this high marine mortality is a major impediment to salmon recovery, but the cause remains a mystery. Several possible explanations are prompting a hot debate: should managers focus on the salmon’s food or its predators? When young salmon enter Puget Sound from their natal streams, they have already begun a race to grow, eating at every opportunity and packing on the ounces. In their early life, one thing is clear: bigger is better. Bigger salmon are in better condition to survive their first winter in the Puget Sound estuary, and these otherwise bite-size morsels are less vulnerable if they can outgrow the jaws of their predators. In fact, one study shows that if a Puget Sound Chinook doubles in size in these early stages, it is four times more likely to survive to adulthood. In many cases, however, this crucial growth is not happening. Some species of young Puget Sound salmon are consistently smaller than their counterparts in other regions, making low growth rates a strong suspect in population declines. Could poor diet be the cause? That is one of the theories proposed by scientists, but supporting evidence has been hard to come by. While much is known about what salmon eat in the freshwater, little is known about the diets of young salmon in the open waters of Puget Sound. Salmon hatch and grow to an adolescent stage (called a smolt) in freshwater, then make their way to saltwater. Once there, many smolts spend their first weeks or months near the shoreline. After reaching a certain size, they move deeper into Puget Sound and begin eating small, free-swimming marine organisms, called zooplankton. 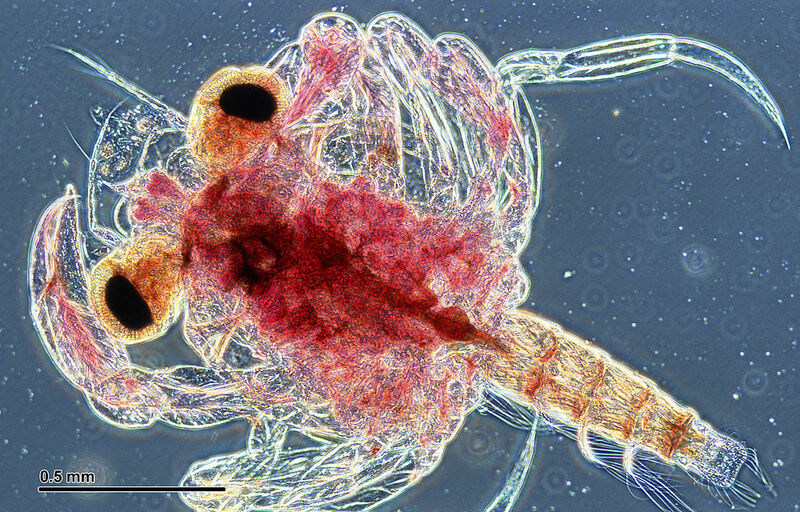 Zooplankton generally include small invertebrates such as crustaceans and insects that drift in the water column. Scientists say that the tiny creatures are notoriously hard to study, and little is known about their ecology in Puget Sound. They are always on the move (plankton in Latin means “drifting” or “wandering”), and are often “strong swimmers which are able to avoid nets,” says zooplankton expert and UW professor Julie Keister. Narrowing down the distribution of the types of zooplankton that salmon like to eat is particularly difficult, she says. Knowing what preys on salmon may be easier to gauge. Large fish (including adult Chinook salmon and steelhead, Pacific cod, walleye Pollock, spiny dogfish, sculpins and others), seabirds, and marine mammals all eat young salmon. 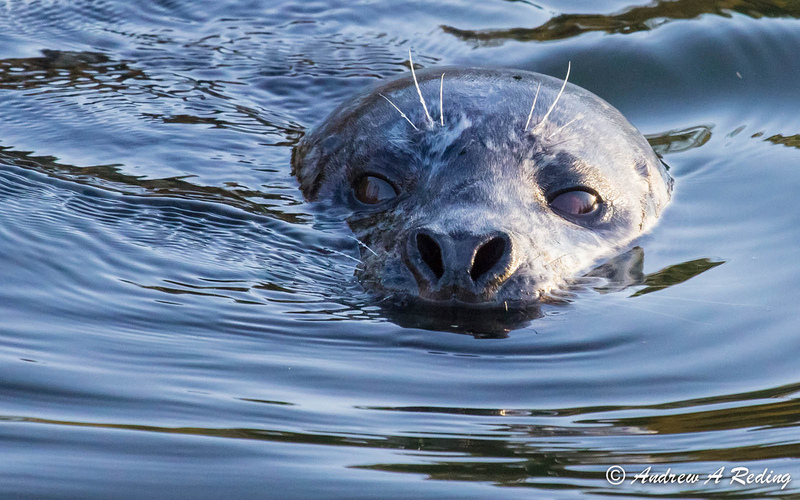 Although many seabirds are in decline in Puget Sound, marine mammals (especially harbor seals, the region’s most common pinniped) are increasing in abundance. Previously hunted through a state-funded bounty program aimed at reducing competition for salmon and other fish, seals and sea lions are capable of eating an enormous amount of fish. Megan Moore of the National Marine Fisheries Service believes that this may partly account for low survival of young steelhead. Concurrent declines in forage fish abundance, especially Pacific herring, could also be pushing bird and mammal predators to switch to immature salmon to round out their meals, say scientists. Understanding the balance of threats from ‘above’ (predation) and from ‘below’ (food supply) is considered critical to salmon protection. To better understand the salmon food supply, Keister and her colleagues at the University of Washington have designed a comprehensive plan to survey Puget Sound zooplankton. The hope is that the resulting data can be used in mathematical models of the Puget Sound ecosystem, to predict how salmon may respond to shifts in their food supply. On the predator side, University of British Columbia researcher Austen Thomas and colleagues are developing a new method for counting the number of salmon a seal eats by implanting Passive Integrated Transponders (PIT) tags into juvenile salmon and mounting detectors on seals’ heads. UW masters student Madilyn Gamble plans to use fish scales to determine where and when salmon face the toughest challenges to their growth and survival. Results from this recent burst of research should help to answer several basic questions: Is there enough food available at the right place and time for salmon to achieve the growth they need? Is the only solution to cull predators as the state once did before federal protections of seals and sea lions? 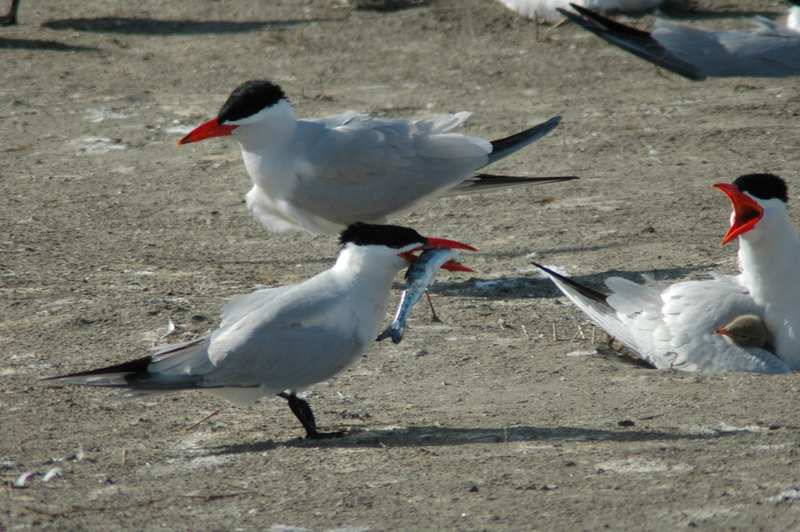 Can managers simultaneously recover salmon and protect forage fish, which compete for food but are critical prey themselves for birds and mammals? Answers could still be five years away or more, experts say, but one thing is becoming clear: solving the juvenile survival mystery is now a priority. Given the widely perceived importance of zooplankton for salmon growth, could competition for food be another factor explaining low juvenile growth and survival? Zooplankton are also important in the diets of forage fish – small, silvery, schooling fish such as Pacific herring, surf smelt, and Pacific sand lance – that live in Puget Sound. Given that herring often outnumber juvenile salmon in Puget Sound, scientists wonder if there is a link. Although in recent years herring have been declining in some places in Puget Sound, they are increasing in others. 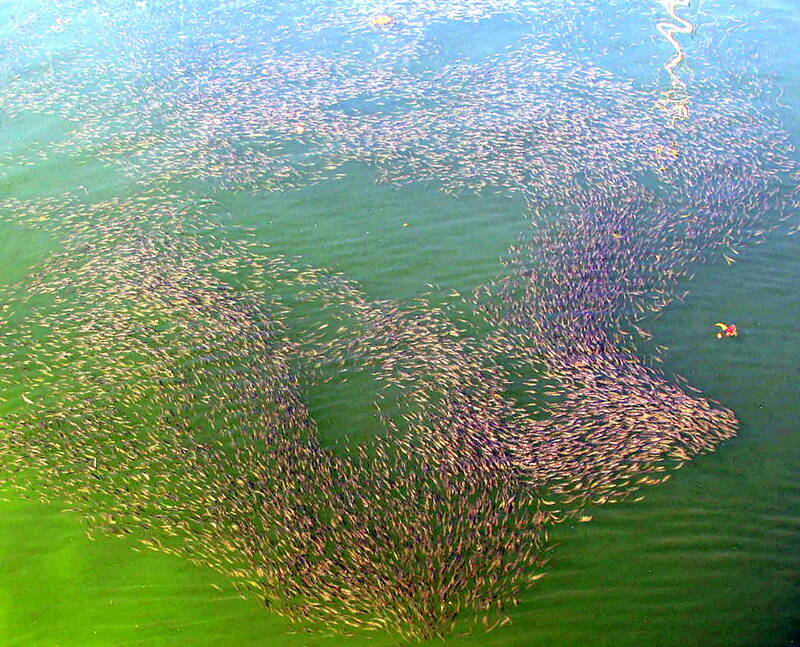 Schools of herring may act as zooplankton vacuum cleaners, clearing the water of food important for salmon survival. But scientists acknowledge that not enough is known about forage fish to define their interactions with salmon. For example, the current status and trends of surf smelt and sand lance in Puget Sound are wholly unknown. Some Puget Sound herring populations are in decline, but the causes remain a mystery. 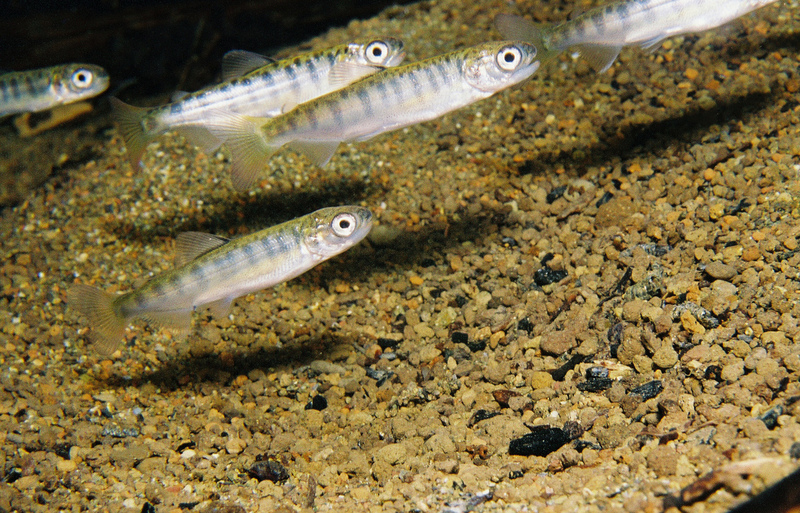 Further complicating the issue, forage fish are critical prey for adult Chinook salmon, so maintaining healthy populations of forage fish is important for healthy salmon. Understanding the complex food-web entanglements between salmon and forage fish is doubly important because both Pacific herring and Chinook salmon are targeted for recovery by the Puget Sound Partnership. Scientists argue that understanding more about these complex interactions between species in the Puget Sound food web is critically important not only for salmon recovery, but also for maintaining the overall function of the Puget Sound ecosystem. Megsie Siple received her master's degree in Marine Science from the University of Hawaii in 2012, and has returned to her native city of Seattle to pursue a PhD at UW's School of Aquatic and Fishery Sciences. Her research is focused on forage fish and their role in marine food webs.